Former yakuza Haruo is finally released from prison after completing his sentence. With nine years worth of prison gratuities in hand, he stops at a restaurant to enjoy a good meal, but all of his money ends up being stolen. With nothing left, he spends the night at a net cafe, and he manages to look up his old friend from his yakuza days. When Haruo visits the next day, he learns that his old girlfriend Mariko was living with another man, but later died of illness. Haruo, who had committed murder 9 years earlier to earn the money for Mariko's medical treatment, is shocked and angered. 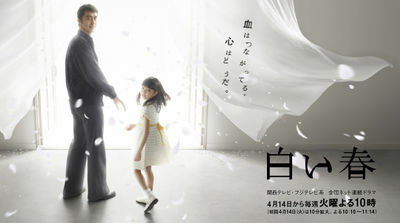 He decides to track down that other man, who runs a bakery with his wife and daughter Sachi. Haruo later runs into Sachi at the park, but he has yet to find out the truth about her.